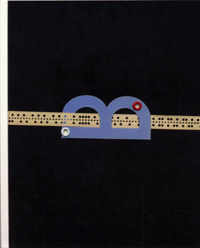 X-Ray Number 7 Published Fall 1998 - limited to an edition of 226 copies 200 numbered and 26 lettered. Featues an interview with Hubert Selby Jr. by J.T. Dockery plus a series of letterpress broadsides by Wanda Coleman, Bukowski, Billy Childish, Dan Fante, A.D. Winans also , John Brewton Sr., Allen Cohen, Bern Porter. Chapbook insert and more. Fun Facts: Nearly broke and making peanuts as a door man the publisher used many FOUND materials and was able to produce another X-Ray!